NAGA have commissioned a research paper on the role of local government in the energy retail market. The Australian electricity market is undergoing a rapid transition, shifting away from fossil fuels to renewable energy sources such as wind and solar. However, the pressure of climate change requires a more rapid transition to renewables than is occurring. 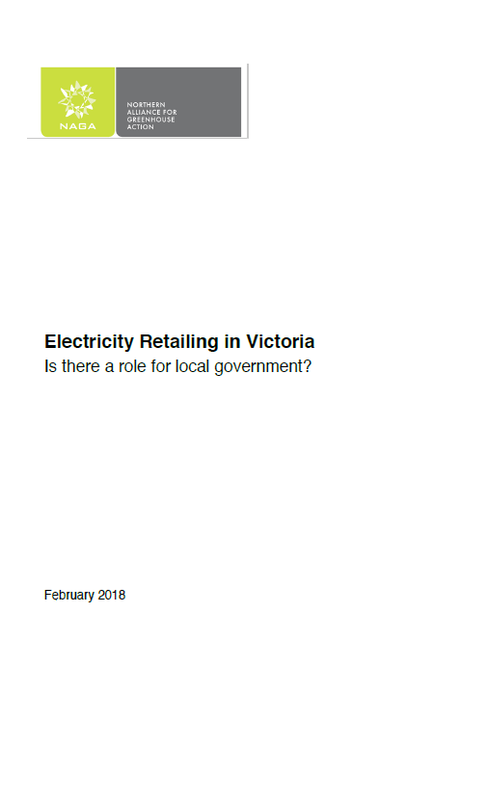 Local government in Victoria is questioning what additional role it should play to encourage this speedier transition to renewables, and whether resuming a role as an electricity retailer would achieve that objective. This paper identifies the case for local government having a role in retailing, and what an implementation pathway should involve.